In this Oct. 14, 2010 file photo, a new Central Maine Power “smart meter” displays electricity usage at a business in Freeport. Customers have blamed the meters and CMP’s new payment system for high bills the October 2017 storm. A group called CMP Ratepayers Unite said on its Facebook page on May 28 that it had retained lawyers to lead a class action lawsuit on behalf of CMP ratepayers who it said were overcharged. Three law firms plan to file a class-action complaint Thursday in the Cumberland County Superior Court against Central Maine Power on behalf of customers of the utility who claim they were overcharged for electricity. Attorney Sumner Lipman of the law firm Lipman & Katz of Augusta announced late Tuesday that his firm, along with Trafton, Matzen, Belleau & Frenette of Auburn and Napoli Shkolnik of New York City, will bring the lawsuit. “As a result of our investigation, it is estimated that over 97,000 customers of Central Maine Power Company have been overcharged 50 percent or more on their utility bills, and another 200,000 customers have been overcharged up to 50 percent,” Lipman wrote in the announcement. “In order to bring relief for these customers and compensation for their overpayment, the law firms have joined resources to bring a class action on behalf of customers of Central Maine Power Company who have been overcharged,” he said. Mark Levesque of Scarborough has been asked to be the class representative. The complaint is expected to be filed in the Cumberland County Superior Court at 1 p.m. Thursday. Lipman said the law firms have been contacted by more than 200 people wishing to be included in the class-action lawsuit. A separate group has formed under the leadership of Patrick Milligan and Judith Hopkins called CMP Ratepayers Unite, which reportedly has more than 4,800 members. Those members together are pursuing their claims of having been overcharged by CMP. Milligan and fellow CMP Ratepayers Unite representative Lauren Loomis sent a letter to CMP’s President and CEO Doug Herling on May 14, detailing a series of problems with bills and service and asking that a thorough investigation be conducted. The group has about 3,500 CMP ratepayers as members. The letter was formally submitted May 17 to Harry Lanphear, administrative director of the Maine Public Utilities Commission. It was copied to Maine Attorney General Janet Mills; the Maine Legislature’s energy committee; Public Advocate Barry Hobbins; Gov. Paul LePage; and Steven McGrath, director of the Governor’s Energy Office. The letter followed Hobbins’ request to the PUC to upgrade its investigation, which is delving into the technical aspects of CMP’s billing and smart meter system, to a comprehensive adjudicated investigation. The regulatory commission on July 11 voted to expand the scope of an external investigation by Liberty Consulting of Pennsylvania to include customer communications. The high bills, some several hundred dollars more than usual, began appearing after the October 2017 storm, which coincided with CMP starting a new billing system. Lipman said many customers have been burdened with bills in excess of $500 per month. Some people did not receive bills for months and then received a disconnect notice. The New York law firm retained for the class-action lawsuit against CMP has a history of taking on high-profile cases including Uber, VW and injuries from the Sept. 11 attack on the World Trade Center. Napoli Shkolnik PLLC, a national law firm based in New York City, bills itself as a personal injury practice handling pharmaceutical litigation, product liability claims and complex cases of numerous plaintiffs suing one defendant. It has a practice specializing in consumer class-action lawsuits. The law firm’s website lists large settlements, including $47.5 million for rescue and recovery workers injured by toxic dust after the Sept. 11 World Trade Center terror attacks and $30.75 million for a class of more than 4,500 Oklahoma claimants against several large Midwest oil companies for unauthorized deductions from royalty payments owed to them. The Napoli Shkolnik attorney handling the CMP ratepayer case did not immediately return calls for comment. CMP spokeswoman Gail Rice said in an email that CMP has not seen a copy of the complaint and therefore cannot comment on the matter at this point. 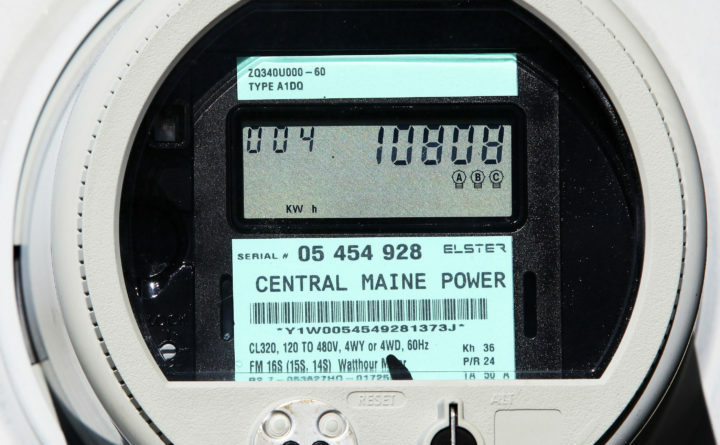 Separately, CMP emailed a notice to customers on Monday, advising them that the Maine Public Utilities Commission has opened an investigation into CMP’s meter, billing and customer communications. In its email to customers, CMP said that while the PUC investigation is open, the commission has created a process for residential customers to pay only the PUC-defined undisputed portion of their bill in any month since Nov. 1, 2017, that meets certain criteria. One criterion is that any residential customer must have received a bill after Nov. 1, 2017, in which the total CMP delivery charges are 25 percent or higher than delivery charges for the same month in 2016 and the customer has disputed the increase. The second criterion is for any residential customer who was not receiving CMP service 12 months before the month of the bill in question, but who received a bill issued on or after Nov. 1, 2017, that reflects total CMP delivery charges that are 25 percent higher than the average bill issued to that customer prior to Nov. 1, 2017. The customer also has to have disputed the increase. For bills that meet those eligibility criteria, CMP provided a calculation for payment of the undisputed amount that included an amount equal to the delivery service bill for the same month in 2016 — or an amount at least equal to the average delivery service bill issued to the customer before Nov. 1, 2017. CMP noted that if customers fail to pay the undisputed amount of their bill, their service may be disconnected.